One of the most economical thermoforming technologies is vacuum forming. The vacuum forming process offers great flexibility in the creation of custom molded plastics because production costs are relatively low. Vacuum forming offers many advantages compared to other plastic forming processes. This particular type of thermoforming technology offers lower tooling costs, cost-efficiency for smaller production runs and the ability to produce large, lightweight parts with thin walls. 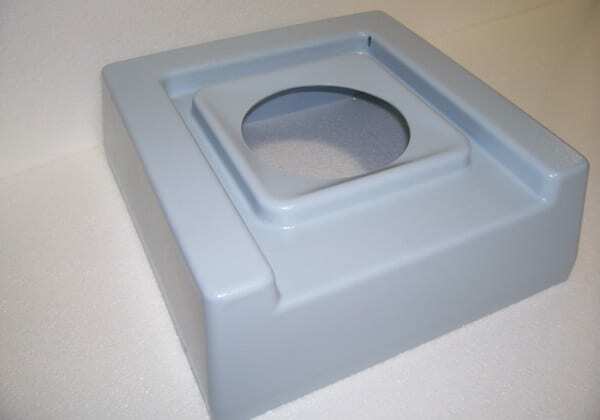 For the greatest flexibility in design and production of custom molded plastics, choose vacuum forming. Our team will work with you to make sure the vacuum forming process is labor- and material-efficient, maintains consistency from piece to piece, produces parts with the correct dimensions, rigidity, features, texture and finish, as well as satisfies you with affordable, durable plastic parts. Whatever the application, you can rely on our forming technologies. To learn more about vacuum forming, vacuum forming products or the plastic molding process contact us today.